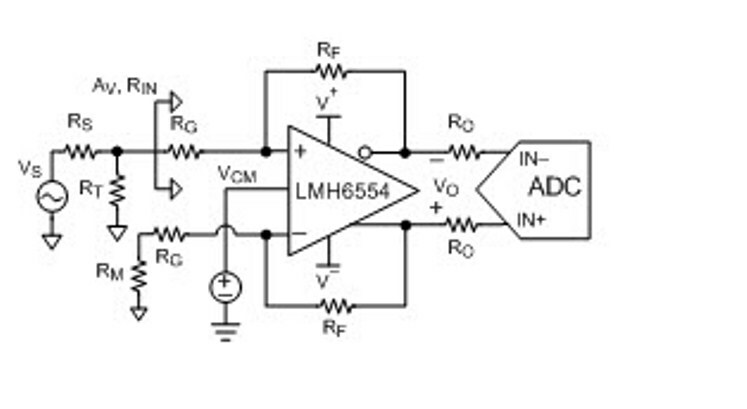 This reference design shows the ability of the high-speed amplifier, LMH6554, to perform single-ended to differential conversion to drive high-speed analog-to-digital converters (ADCs) while maintaining excellent noise and distortion performance. 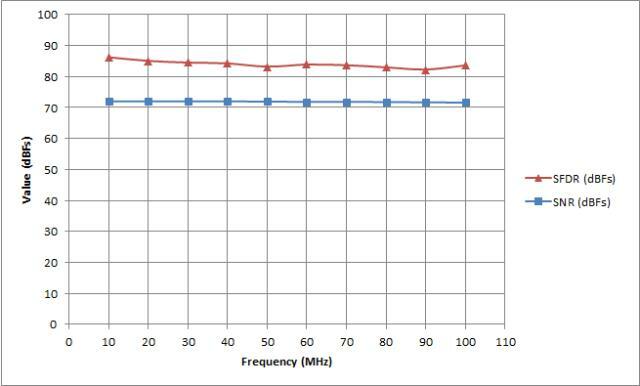 Performance versus input frequency is shown for both AC and DC coupled applications while interfaced to the ADS4449 quad, 250-MSPS, 14-bit ADC. Various options for common-mode voltages, power supplies, and interfaces are discussed and measured to meet the requirements of a variety of applications. Anti-aliasing filter examples are shown along with the performance improvements that they provide.